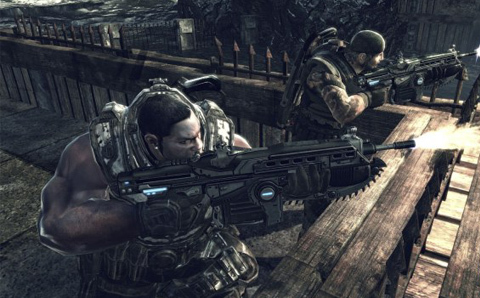 You've probably been busy revisiting Gears of War 2 lately, given the new update and "All Fronts" map pack released recently. As is becoming more and more common lately, there are a bundle of additional achievements with the DLC. The new achievements raise the maximum you can earn up to a whopping 1750 gamerscore points. Playing through "Road to Ruin", the bonus chapter, in co-op will net you 50 points, plus an additional 25 if you replay it in the opposite style (stealth vs. guns blazing). The majority of the remaining achievements are all related to perennial favorite Horde mode! The achievements are tied to specific maps from the new content, and also to your multiplayer level, which, you'll recall, you can now earn XP for in Horde mode. Look us up if you're online and trying to get these new cheevies!